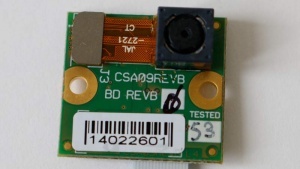 UDOO Camera module is designed to be connected via CSI interface to UDOO Camera Connector. Connection is made via a FLAT-213-16PIN cable. Important: Never Connect UDOO Camera Module when UDOO is on! This could potentially damage the board and the camera. No additional operations needed. Just connect the Camera Module and boot Android. The camera will be automatically recognized by the system. This page was last edited on 31 July 2014, at 06:14.